Proprietary Name: Stool Softener What is the Proprietary Name? Non-Proprietary Name: Docusate Sodium What is the Non-Proprietary Name? 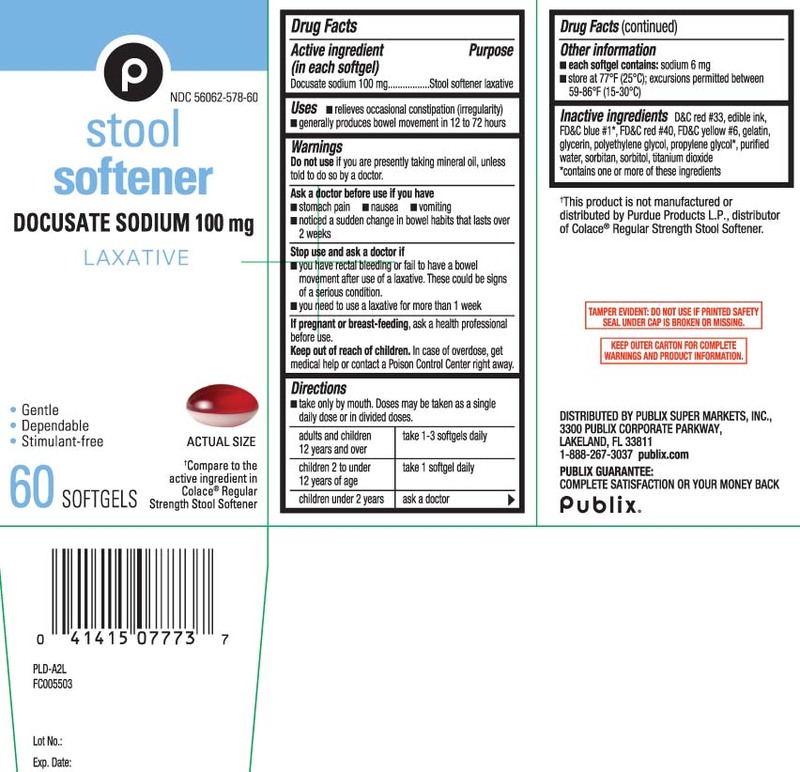 Stool Softener with NDC 56062-578 is a a human over the counter drug product labeled by Publix Supermarkets, Inc.. The generic name of Stool Softener is docusate sodium. The product's dosage form is capsule, liquid filled and is administered via oral form. If you are presently taking a mineral oil, unless told to do so by a doctor.